Sweet myrrh oil is often referred to as a “sacred scent” because it has been used in meditation, ceremonial incense, or spiritual activities. It is believed to be a symbol of purification and sanctification. Its aroma is therapeutic, long lasting, and simply fragrant that it is also used in perfumery. When blending with other essential oils, a small amount of sweet myrrh is enough because of its strong scent. To use as massage oil for muscle pains, it is best to dilute it with coconut oil. 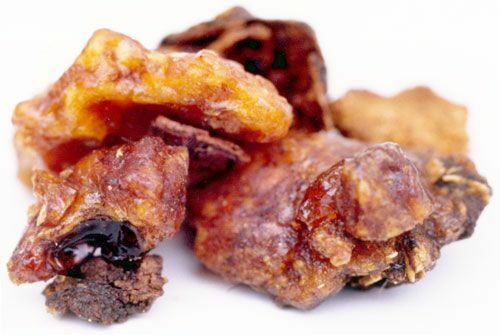 The most common method of using sweet myrrh essential oil is topical application since this oil is more popularly used in treating skin conditions and as part of regular skin care regimen. You can just add a few drops to your maintenance cream or lotion and apply as usual. When sweet myrrh is diffused, it can create a warm, cozy, and intimate atmosphere. It also has an effect in one’s emotions that he would feel refreshed, clean, rejuvenated, and purified. It is believed to have an effect in the spiritual health of a person. Get Your Sweet Myrrh Essential Oil Now! I've been using the Myrhh essential oil for my dry skin on my hands and feet. The scent is pleasant and I have seen great results from using this oil. I would recommend this oil to anyone who has dry, cracked skin. It only takes a small amount of oil and I've seen quick results.